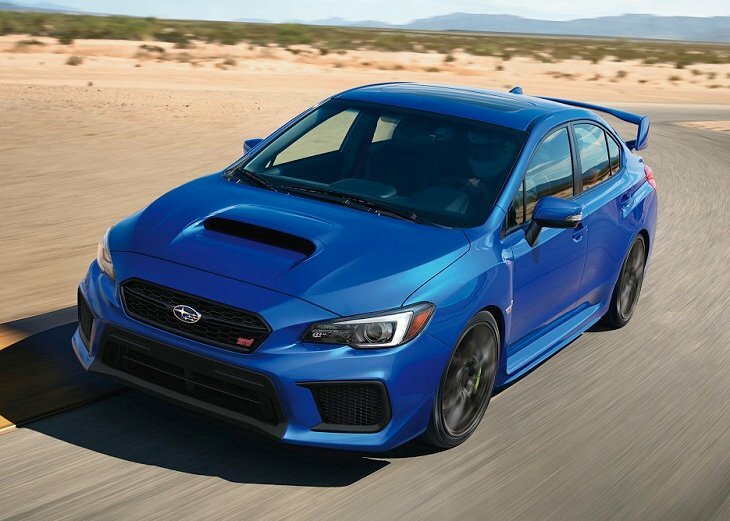 Bleating its signature turbocharged boxer-type 4-cylinder engine symphony through its new high-flow performance exhaust system, the 2019 Subaru WRX STI ripped up Mulholland Highway after a sunset run along the beach, its steering responsive LED headlights illuminating the way in rapidly dimming light. “This might be the ultimate enthusiast’s family car,” I thought, as I wrestled the Subaru around turn after twist, ultimately finding a freeway that led back to my home, my wife, and my kids. Naturally, I took this as a challenge to prove him wrong, and spent the remainder of my time with a 2019 Subaru WRX STI Limited piling my family into it for all manner of daily-driver chores. The test car came fully loaded, aside from an extra-cost front STI under spoiler, and the price came to $42,679 including the $885 destination charge. Before I discuss the results of my evaluation of the Subaru WRX, it is helpful to understand who buys this vehicle, and what they like most and least about their WRXs. According to J.D. Power data, just 13% of Subaru WRX owners are women. A WRX owner’s median age is 35 years, and their median annual household income is $97,586. Nearly two out of three WRX owners is a Millennial (62%). Surprisingly, 35% of WRX owners claim they are Price Buyers, outranking the 30% who claim they are Performance Buyers. Not surprisingly, WRX owners bought their vehicles to obtain affordable performance. J.D. Power data shows that 84% agree that their friends and family think of them as someone who knows a great deal about autos, and 99% agree that they like a vehicle that offers responsive handling and powerful acceleration. To a WRX owners, a vehicle is not just a way of getting from place to place, with 84% of them disagreeing with that sentiment. At the same time, 89% of Subaru WRX owners like to drive a vehicle that stands out from the crowd. And while fuel economy is one of their least favorite things about the WRX (see below), only 29% of owners agree that miles per gallon is a first consideration when choosing a new vehicle. Owners report that their favorite things about the WRX are (in descending order) the exterior styling, engine/transmission, interior design, visibility and safety, and seats. Owners indicate that their least favorite things about the WRX are (in descending order) the driving dynamics, storage and space, climate control system, infotainment system, and fuel economy. In the sections that follow, I’ll provide my own perceptions about how the Subaru WRX measures up in each of the 10 categories that comprise the 2018 APEAL Study. Your typical family car doesn’t have an enormous functional hood scoop or giant rear wing spoiler. But this one does. Exterior styling is the top-rated WRX characteristic, according to the people who own one. I can understand that. But that doesn’t mean I find the car visually appealing. Based on the previous-generation Impreza sedan, the WRX STI conveys lots of visual excitement where I prefer a stealth appearance. And that makes the optional rear lip spoiler mighty appealing. Loaded with every possible option, the WRX STI Limited’s interior features a mix of quality materials laid over econo-car plastic. In other words, it’s clear that your money is paying for performance hardware more than anything else. Simple controls laid out in logical fashion do help a driver to focus on the road, which is important in a vehicle like this one. However, with three different screens to reference in addition to the gauges, each with multiple menus of information, a glance at the dashboard can momentarily overwhelm with data. With Limited trim, the WRX STI includes Recaro-brand performance seats wrapped in leather with red accents and red exposed stitching. They’re appropriately snug, and do a decent job of keeping the driver and front passenger anchored in place when flinging the car down a favorite back road. 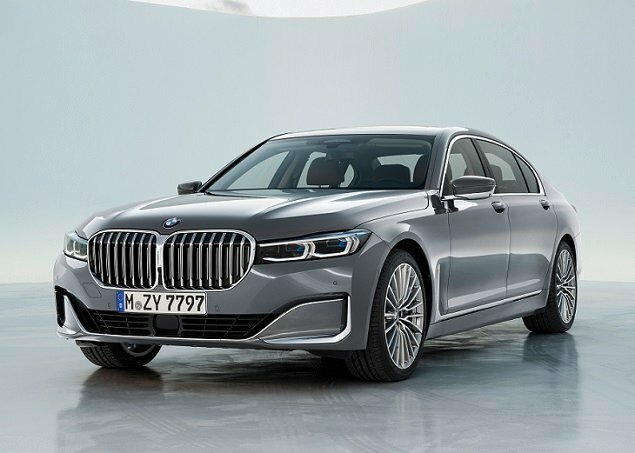 Drivers get 8-way power adjustment, but front passengers get no-way power adjustment. Manual controls slide the right front seat forward and back, and recline the backrest. Plus, it is mounted low to the floor. I did not like sitting there, and neither did my wife. The back seat is roomy and comfortable, though. Thigh support is excellent, legroom is decent, and adults enjoy a commanding view out. Unfortunately, the back seat does not include air conditioning vents, which kids tend to want on hot days. It also doesn’t include USB ports, which kids of all ages increasingly require. A dual-zone automatic climate control system is standard for the WRX STI, operated using three oversized knobs on the dashboard. The WRX STI has lots of glass, and with black leather the interior heats up like an oven. During a Southern California heat wave, the air conditioning did a decent job of cooling the car’s cabin, but it took awhile. Though similar in terms of its look and feel, a new Starlink infotainment system is aboard the 2019 WRX. In all but the base WRX, it has a larger 7-inch display surrounded by primary menu shortcut buttons and both volume and tuning knobs. New features for 2019 include Apple CarPlay and Android Auto, which ought to increase owner satisfaction with the system. It also adds near-field communication capability for super-simple Bluetooth pairing. My test car had a 440-watt, 9-speaker Harman Kardon sound system. It sounded good, but needed extra volume on the highway in order to overcome road and drivetrain noise. Because it is based on the old Impreza sedan, the WRX STI supplies lots of nooks and crannies in which to stash stuff. For hauling luggage, the trunk measures 12 cubic-feet, and is shaped to handle the needs of a family of four. Overall, the WRX STI’s utility is greater than most vehicles that perform as well as it can, but falls short of a typical family car. Thin windshield pillars, large side windows, and huge side mirrors help contribute to excellent visibility. Plus, the WRX STI’s towering rear wing is shaped so that it doesn’t block the view to the back, which is important as far as spotting approaching highway patrol cars is concerned. Aside from a reversing camera and a blind spot monitoring system with rear cross-traffic alert, the WRX STI is barren of Subaru’s typically long list of safety technology. That’s because the automaker’s EyeSight suite of driver assistance and collision avoidance systems is not available with a manual gearbox, and the STI is offered only with a clutch pedal. If you want EyeSight, you’ll need to get the standard WRX with its optional continuously variable transmission. 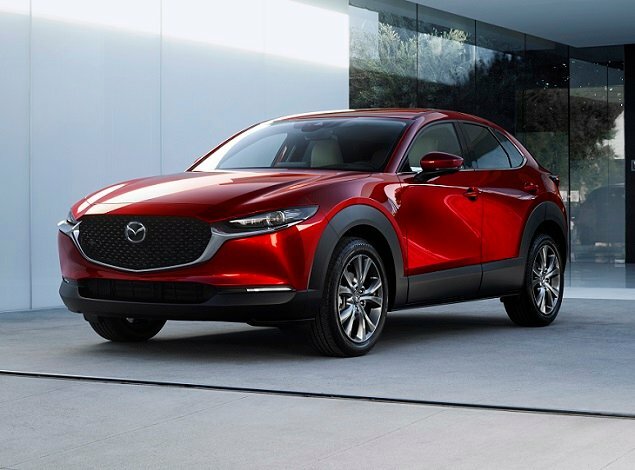 So equipped, EyeSight is standard with Premium and Limited trim, and equips the car with adaptive cruise control, forward collision warning, automatic emergency braking, lane departure warning, and lane keeping assist systems. The WRX Limited also comes with reverse automatic braking and automatic high-beam headlights. Starlink Safety and Security Service is standard with the WRX Limited and both versions of the WRX STI. Free for three years, this package supplies advanced automatic collision notification and SOS emergency assistance, both important features in a car that so regularly tempts its driver. As far as crash protection is concerned, in 2018 the WRX received the highest possible ratings from the Insurance Institute for Highway Safety (IIHS) in every single assessment except for how easy the car’s LATCH anchors are to use. In that respect, it got an “Acceptable” rating. Last year, Subaru offered a limited-production run of WRX STI Type RA models. Among their numerous bespoke modifications, the Type RA got a new air intake, re-tuned engine software, stronger pistons, and a high-flow exhaust system, giving the car an incremental bump in power. The 6-speed manual gearbox also received a revised third-gear ratio for faster acceleration. As it turns out, this was a trial run for mechanical upgrades that now roll out to all WRX STI models. As a result, the STI’s turbocharged 2.5-liter 4-cylinder engine now makes 310 horsepower at 6,000 rpm and 290 lb.-ft. of torque between 4,000 rpm and 5,200 rpm. Three Subaru Intelligent Drive (SI-Drive) driving modes determine just how aggressively the car responds to your right foot. They include Intelligent, Sport, and Sport Sharp, and the car’s character changes to a noticeable degree depending on the selection. An exclusive all-wheel-drive system ensures maximum performance. Equipped with a Driver Controlled Center Differential (DCCD), the setup has three modes and measures a variety of real-time data points in order to optimize torque distribution and maximum grip. Brake-induced active torque vectoring is also at work to ensure crisp cornering. Driving a Subaru WRX STI is all kinds of fun. The trick to maximizing thrills, though, is to understand how SI-Drive and DCCD alter driving characteristics, and then remember to set them based on the planned route and surfaces. Forget, and you might feel as though the towering crescendo of power you expected when mashing your right foot to the floor is more of a shallow swell. The good news is that the solution is just an adjustment or two away, and then the STI easily lives up to its reputation. On my usual testing loop, I got 16.7 mpg while driving the WRX STI, coming up a bit short compared to the EPA’s 19-mpg rating in combined driving. In the Subaru’s defense, I thoroughly enjoyed myself. And I mean thoroughly. Despite the techno-wizardry governing the drivetrain, the STI is delightfully analog in character. It’s loud, but in a good way. It’s stiff, but in a good way. It’s sometimes a little frightening in terms of its speed and capabilities, but in a good way. 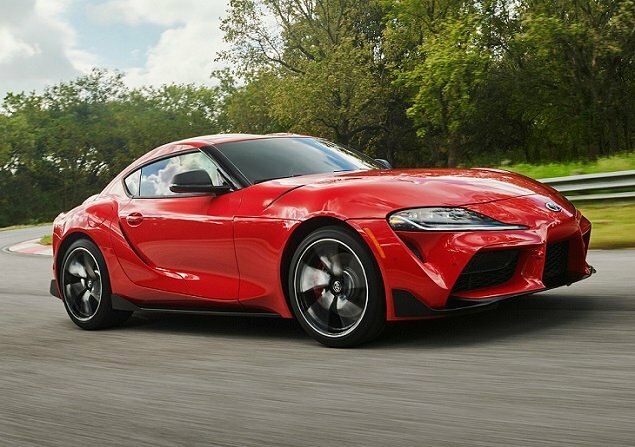 This car, which often feels like it must be manhandled around corners due to its hefty, hydraulically assisted, quick-ratio steering, is utterly visceral, raw, and gritty. It’s like a wild animal, straining for release from a cage. Forward visibility, especially around left-banking curves, is perfect for carrying ill-advised amounts of speed into the next straightaway. The ventilated and cross-drilled brakes, clamped by 6-piston Brembo front calipers and 2-piston rears, shrug off every stab and stop, the pedal offering perfect modulation regardless of the assignment. The suspension delivers a clear line of communication with the road at all times, which gets monotonous on the freeway. Oh, and the police take notice of this car. While running up a local mountain grade at 10 over the limit, I spotted a California Highway Patrol vehicle in the far right lane of the freeway. As I backed off the gas, the officer moved three lanes left and flipped on the lights. What got pulled over? A Subaru WRX STI. Let’s say you’re the typical Subaru WRX STI owner, based on J.D. Power data. You’re a Millennial. You’re a guy. And you’re driving the dream car of your video game fantasies. Then you meet someone. You fall in love. And you have kids. Does the WRX need to go? No, it doesn’t. It has four doors. It has room for the kids. It has room for a stroller. And it gets top crash-test ratings. Does it make sense as a proper family car, though? No, it doesn’t. It costs too much to fuel. It likely costs too much to insure. And it’s just too darn tempting to take the car out and exercise it in a way that draws unnecessary attention from the law. But my God the thing is addictive.